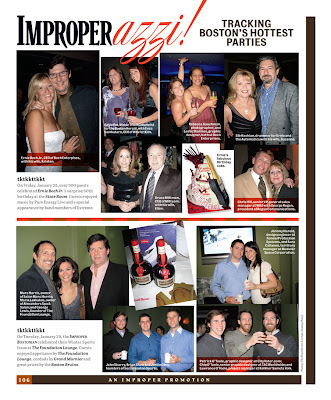 Patrick, Lawrence and I are featured in the current issue of the Improper Bostonian. Here's us at an Improper event acting very improperly. Click the image to enlarge our goofy faces.